Hermeneutics is a crucial but neglected perspective in African philosophy. 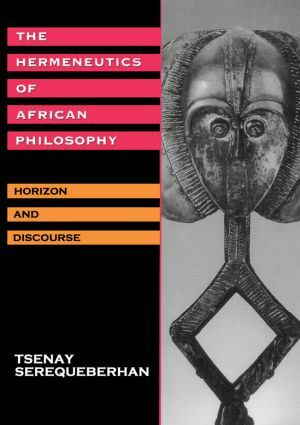 Here, Tsenay Serequeberhan engages post-colonial African literature and the ideas of the African liberation struggle with critically-used insights from the European philosophical tradition. Continuing the work of Theophilus Okere and Okonda Okolo, this book attempts to overcome the debate between ethnophilosophy and professional philosophy, demonstrating that the promise of African philosophy lies with the critical development of the African hermeneutical perspective.